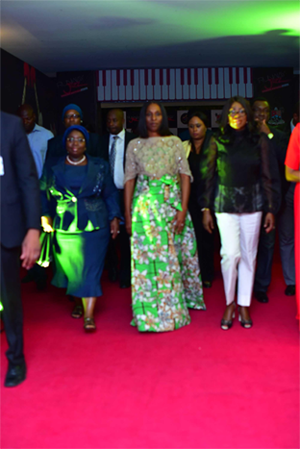 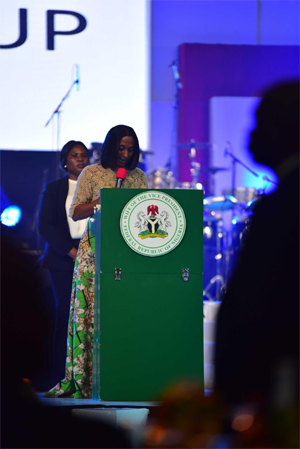 Wife of the vice-president of Nigeria, Mrs Dolapo Osinbajo, has warmed many hearts after she rocked a N1,800 outfit to the Runway Jazz event which held last night, as part of the ongoing Lagos At 50 celebration. 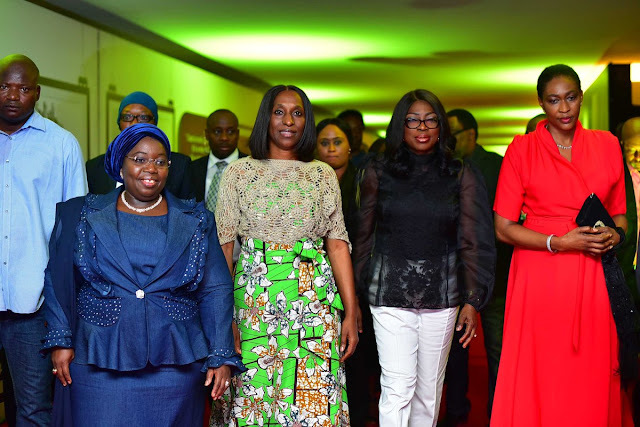 While speaking about the ‘Step Up’ initiative at the event, Mrs Dolapo mentioned that the blouse which she had on, was knitted by her, while she bought her made in Nigeria Ankara for just N1,800. 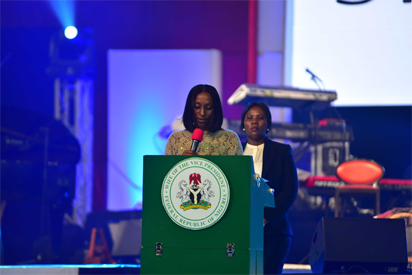 With this she urged the audience to be creative, and support the many talents resplendent in the country. 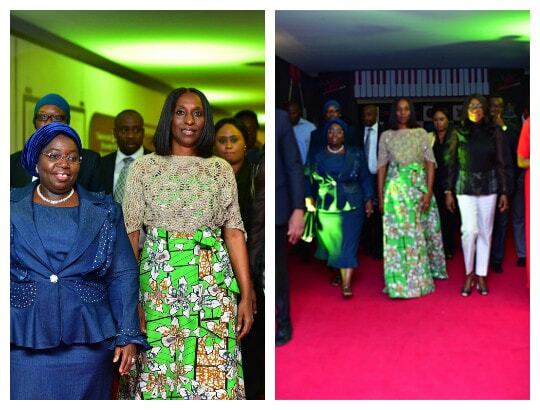 » Dolapo Osinbajo: Husband & Children Celebrate Her Turning 50!